NALAHOMEQQ MALL artistic---The Great Wave Off Nalahomeqq pattern tapestry is an essential elements to decorate your home. This The design Off Nalahomeqq tapestry hanging on wall and really brings your room to life. It is perfect for a wall hanging, tablecloth, beach forts, dorm room, window curtain or other room idea. It can also be used in different ways to decor home like as bed spread, tapestry, bed cover, coverlet or just a sofa cover. 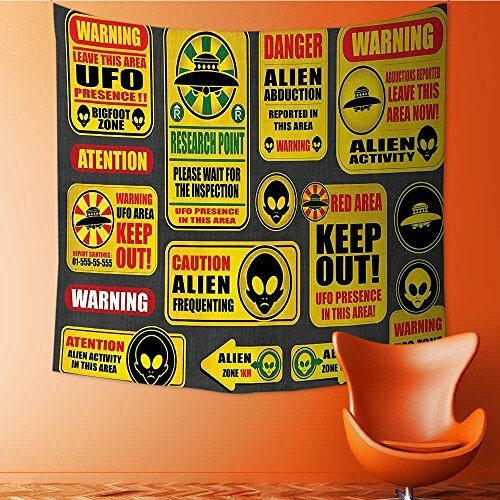 Size: S size is about 40 INCHES WIDE x 60 INCHES LONG/W100 x L153 CM, M size is about 51 INCHES WIDE x 59 INCHES LONG/W130 x L150 CM, L size is about 60 INCHES WIDE x 80 INCHES LONG/W153 x L203 CM,XL size is about 59 INCHES WIDE x 83 INCHES LONG/W150 x L210 CM,XXL size is about 70 INCHES WIDE x 92 INCHES LONG/W180 x L235 CM. Machine wash cold on gentle cycle, tumble dry low, don't bleach or iron. Usages: Bed Cover, Tapestry, Curtain Or Table Cloth. Occasions: Suitable for home, office, restaurant, dinning area, windows, kitchen, toilet, bathroom, bedroom, compound area. The Nalahomeqq pattern design, printed on one side. Friendly recycle tapestries will last many years. *Hand Wash / Cold Water / Hang Dry. *Dry flat or hang to dry in a shaded area. *Never use a drying machine. *Do NOT hang in direct sunlight for long time. Three different sizes: 40 INCHES WIDE x 60 INCHES LONG/W100 x L153 CM. Superior Quality: Made from Microfiber Peach With Printed Top and Hand-sewn Finished Edges, This Tapestry is Infinitely superior to Other Materials. 100% MONEY-BACK GUARANTEE: If you don't like NALAHOMEQQ wall hanging tapestry for any reason, you can just take advantage of our ONE-YEAR guarantee! We will replace it or give you your money back for any reason! NO QUESTIONS ASKED!